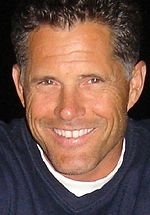 Terry Deitz was a contestant on the 12th season of the reality competition show Survivor, entitled Survivor: Panama - Exile Island, in 2006. He came third. Deitz was born and raised in Matawan, New Jersey, by his mother, Peggy and father, George. He has three brothers, Mickey, Skip and Tommie, and one sister, Pegi. Deitz attended St. Joseph's Grammar School in Keyport, New Jersey, where he played little league baseball, football and basketball. He was also an avid swimmer and a member of the dive team. He then attended St. John Vianney High School in Holmdel, New Jersey, where he earned 11 Varsity letters in football (quarterback), baseball (catcher) and wrestling. He received All County and All Conference awards and made All-State Baseball 1st Team. In addition, he was Varsity Captain for three sports. From 1978 to 1982, Deitz attended the United States Naval Academy. While there, he played four years of Varsity Division I baseball. In 1982, he was ordered to the USS Enterprise aircraft carrier as a Ship's Officer in the Weapons Department, where he handled ship's defence systems. He was also Officer of the Deck qualified, which enabled him to run the ship for the Captain on a four-hour watch rotation. In 1984, Deitz was ordered to the US Navy flight school in Pensacola, Florida, where he learned to fly a Navy T-34 turbo prop. He earned jet grades and was sent to Meridian, Mississippi for T-2 and T-A4 advanced jet training. After he obtained his Navy wings, he was ordered to NAS Miramar in San Diego, California, for training in the F-14 Tomcat. In 1986, he began flying the F-14. In 1987, he was a pilot with the Fighter Squadron-51 (Miramar/Deployed on the USS Carl Vinson CVN-70). Deitz met his wife, Trish, six days before his last six-month cruise. They had three dates, and then he went away for six months. They eventually married on October 5, 1991. From 1990-1992, Deitz conducted shore duty as an F-14 Instructor pilot. In 1992, married life with family aspirations triggered his decision to leave the active duty Navy. He was honourably discharged from active Navy and entered Navy reserve. He was then hired by American Airlines as a commercial pilot. In 1994, he and his family moved from San Diego to Simsbury, Connecticut to be able to fly out of New York and Boston. While employed as a commercial pilot, he was also hired by the Naval Reserve Logistics Squadron-52 where he flew the DC-9 worldwide out of the Navy air station in Willow Grove, Pennsylvania. He was later promoted to Commander and eventually retired in April 2001. Deitz presently resides in Simsbury, Connecticut with Trish and their children, Kayla and Daniel. He continues to fly with American Airlines, piloting the Airbus A300.